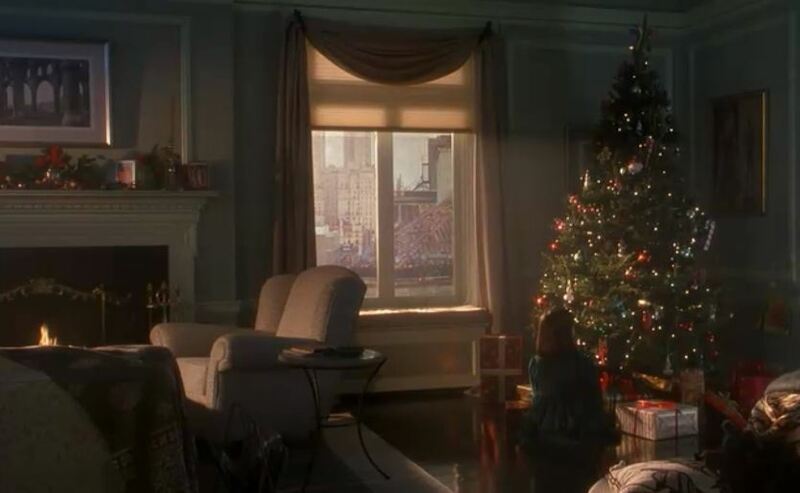 Susan Walker's Yellow House from "Miracle on 34th Street"
In 1994, John Hughes produced and wrote the screenplay for an updated version of the holiday classic Miracle on 34th Street. 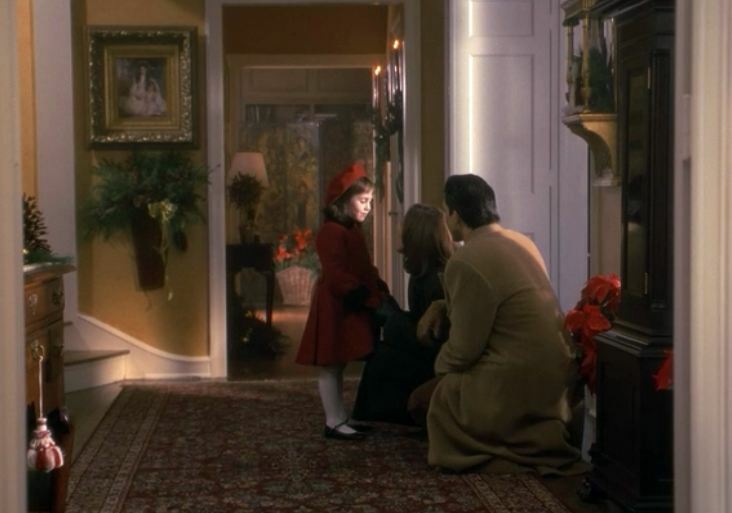 Elizabeth Perkins was cast as the tough and practical single-mom Dorey Walker, and Mara Wilson played her daughter Susan, who’s been taught not to believe in fairytales–and that includes Santa Claus. Watching the movie again, I was struck by how they tried to give the sets a timeless look. First, let’s take a look at Dorey’s New York City apartment. Dorey’s place always looks dimly lit, serious and serene. Remember the early-90s “power suits” that paired long blazers over short skirts? I think we have “Melrose Place” to thank for that one! 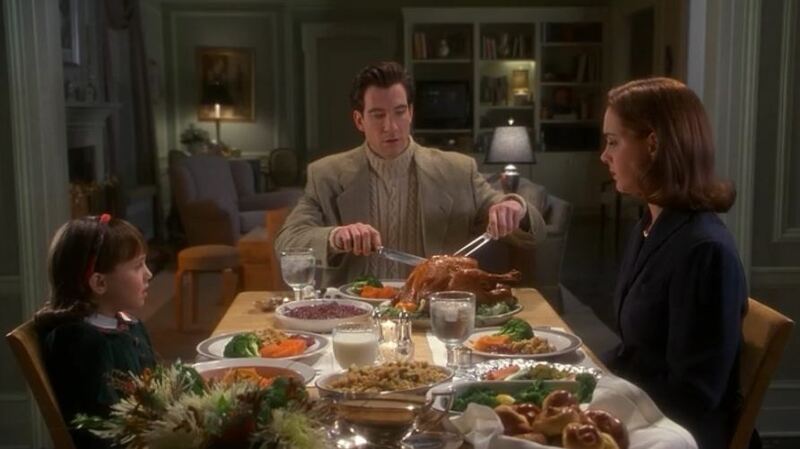 I read that they planned to have a little boy in the movie instead of a girl, but Elizabeth Perkins refused to join the project if the story was changed that much from the original. This yellow house. Oh, and a dad and baby brother to go with it, please! The filming location for this yellow house is listed as Lake Forest, Illinois. I wasn’t able to track down the exact location, so if you know where it’s at, fill us in! UPDATE: A reader who says she grew up here told me it’s on the market. They’re told that it comes furnished, courtesy Kris Kringle. 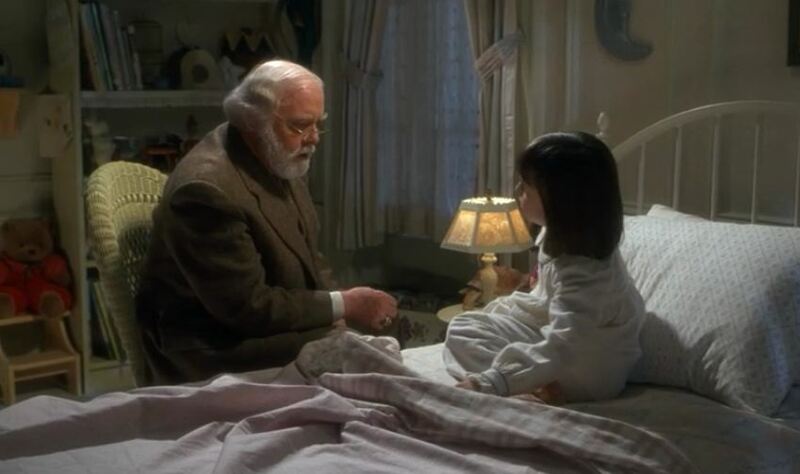 Last week I showed you the sets from the original Miracle on 34th Street. Do you have a favorite version? 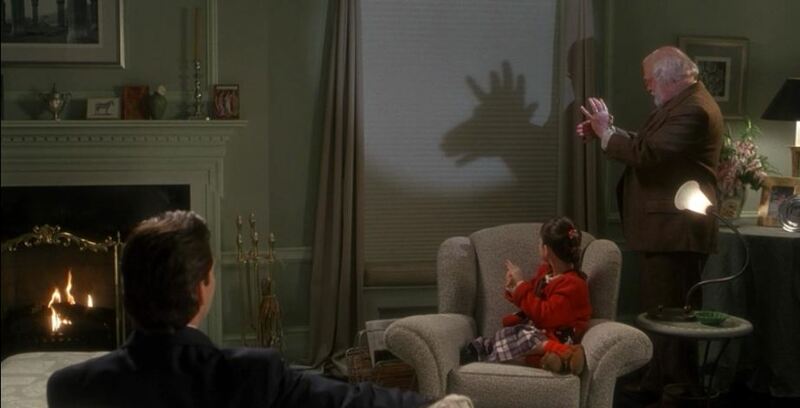 I’ve only seen the remake version but it was one of my favorite Christmas movies growing up. 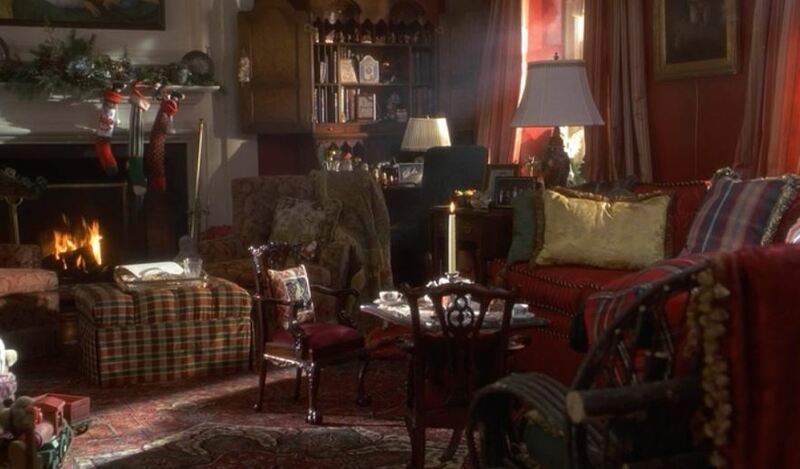 I loved the fully decorated house at the end, so I’m glad they decided to make that change in the remake instead of keeping it empty. Thanks for this post. You just saved me from a decorating mishap. I was thinking (because the kids need NOTHING this year. We are drowning in plastic from China that runs on batteries) that we should get the kids a table and chair set for inside. We of course have a little outdoor picnic table. But, I have always wanted kids to have their own table and chairs. Not the painted ones in clown colors. I saw a cute set from Pottery Barn. But, the price and that it’s all so modern were killing me. We live in an old house. Seeing that chair and table set in the yellow house just made me realize I will wait until I can find that and I don’t care if it costs. What a gem and what a gorgeous heirloom piece. Being from the South you know I am all about the heirlooms. oh thank you! Thank you!!! I can’t tell you how happy I am to see this beautiful house on my screen! So the house is in Illinois? I’m happy to know that much. I used to wonder where this house was. 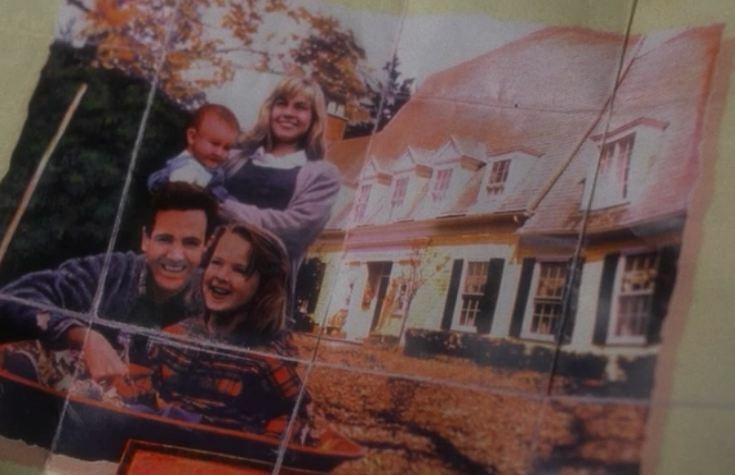 I thought maybe it was filmed in Upstate NY somewhere since that’s where the house was most likely located in the movie. I’ve never seen this movie, Julia…gotta check it out this year. Hope you’re having a wonderful Christmas season! I absolutely LOVE the orginal “Miracle” movie with Natalie Wood. The remake is decent and Mara Wilson is adorable as Susan. There is so much of the original that I love from the decor to the NYC skyline and the clothes – oh – the fashions were fabulous! Thanks for sharing this with us. I like both the original movie and this one in their own ways. John Hughes really knew how to make his homes a part of his movies. 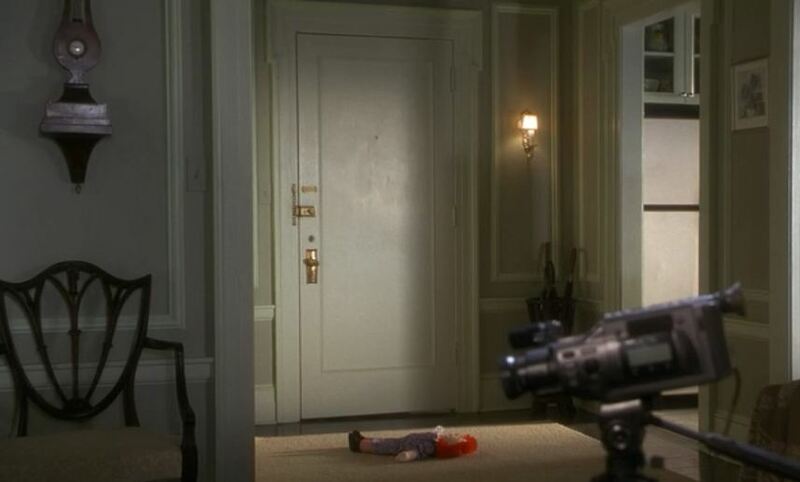 My favorite is the one from Home Alone and this one is a close second. 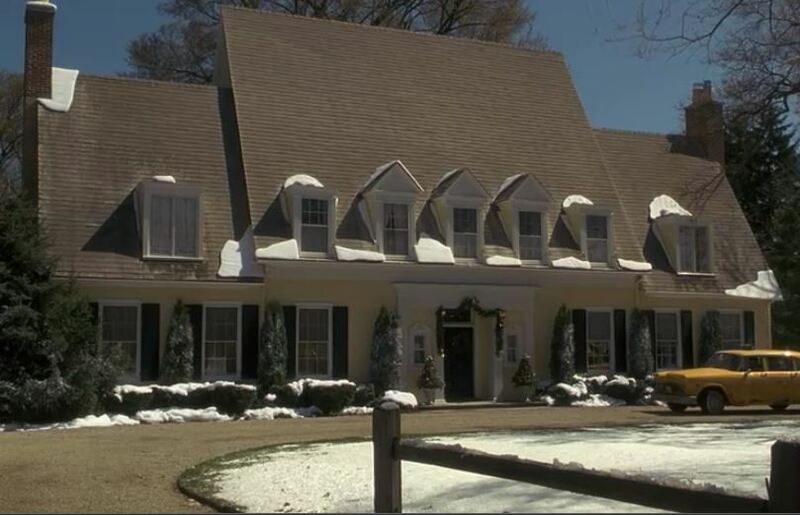 I love how the house in this movie doesn’t need much updating like the one in Home Alone. 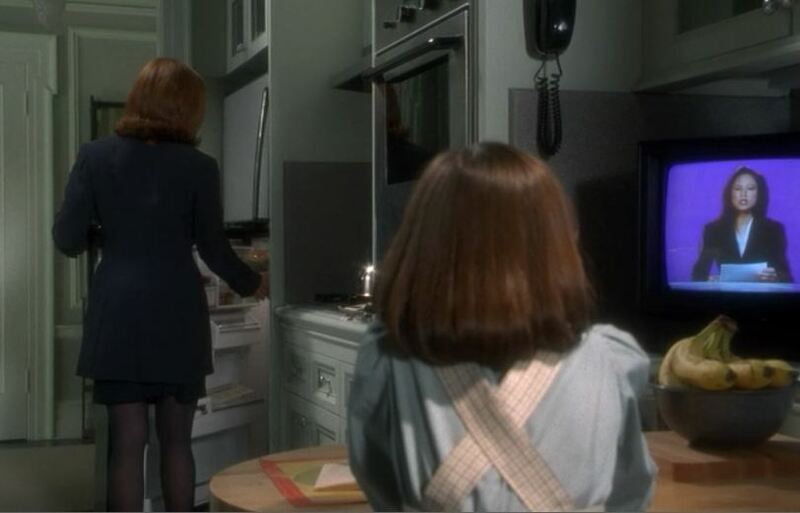 Julia, I haven’t seen the remake; I’m a big fan of the original version! I love this film! 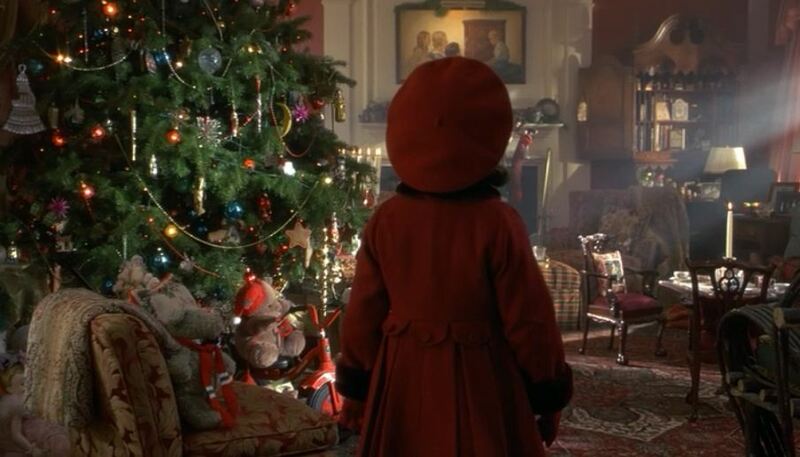 My Mum and I were just watching it this evening – it really starts Christmas for me. And the house is just stunning. My husband and I just watched this movie yesterday and I said the exact same thing! It is not as dated as you would think for being filmed in the 90’s. 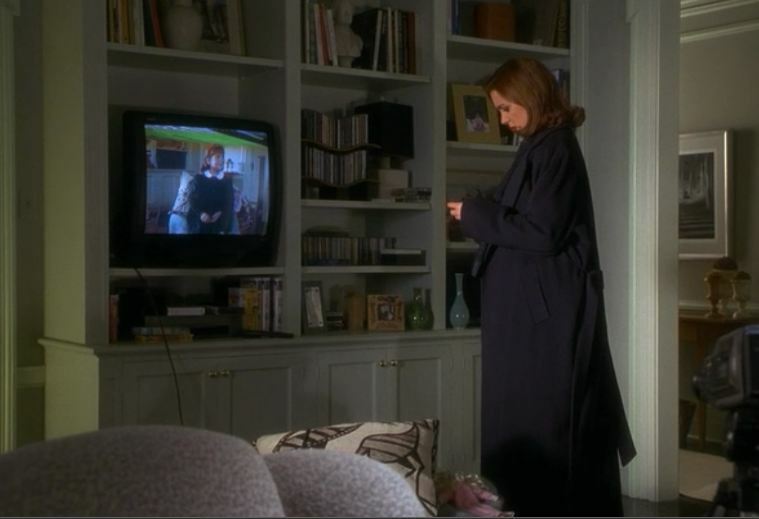 I really love the downtown apartment as well… very classic. Thank you soooo much for this! I love this, and as a child I wanted the “dream house” on Christmas just like Susan did (but I already had the daddy and baby brother.) That fully furnished house at the end would have been my childhood dream. This version is by far my favorite…if you’re going to dream of a house I say dream big! 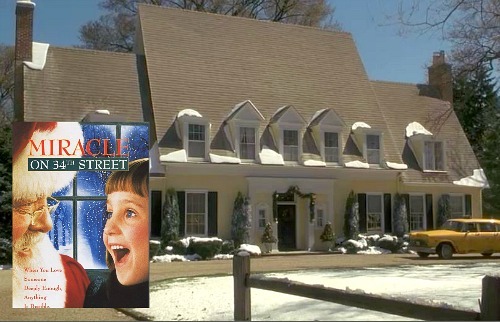 I adore this house and my son and I watched this movie every few months all through his growing up. We now live in a house very similar. The house decked out for Christmas is such an inspiration. I’m very glad they did a remake and decorated the house in the new version. Thank you for posting it on your site. my girlfriend phoned me to say “you must see this house. It is the most perfect French house in the country I have ever seen”. Looking forward to it. How cute! I actually love the older version though. I can’t tell you how many times I have paused this movie at the exact moment the living room appears. 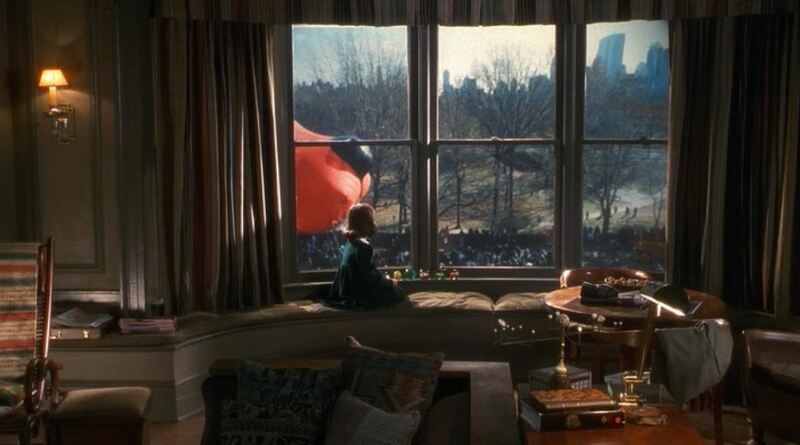 It was my DREAM living room when this movie first came out and, honestly, it still gives me the warm fuzzies when I see it now! 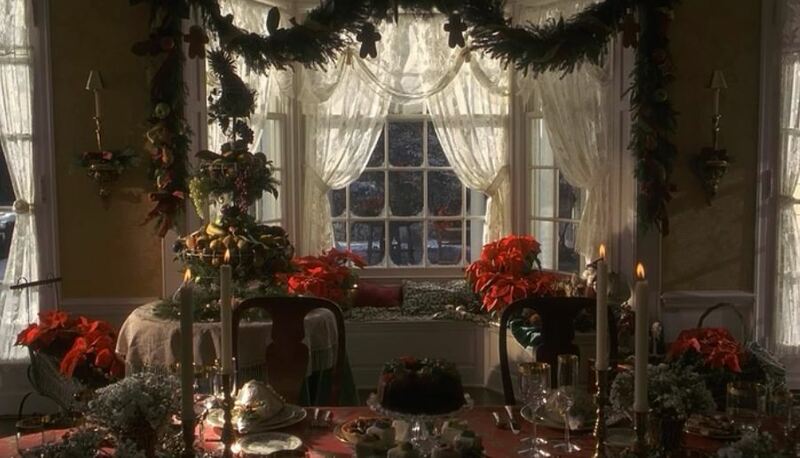 It is the perfect “Christmas Morning” room! I have twin boys and that table and chair set is a MUST for my living room. We live in a big, old southern home that my husband’s great grandfather built in the 20’s. I try to be very mindful of the age of the house when decorating. I always have my mind on Christmas when planning colors for a room. Silly, I know. Thank you so much for featuring this movie house! Coles was one of the original dime and thrive departments stores in Bourke Street, Melbourne City Victoria Australia from around 1880 – 1980, JC Coles had a huge mansion in Essendon with Colonades. Sadly JC Coles no longer exists as a Department Store it is now a string of Supermarkets, I don’t think it is the same family that own it. I prefer the original with Edmund Gwen I am afraid these days we don’t have many elderly actors doing roles. I love Christmas in Conneticut too with S Z Suza the chef from Hungary, unfortunately Australian seasons are back to front to North America so Christmas is ususally at the height of summer, we have a lot of prawns and salads and beer for Christmas.